Candles are beautiful, but equally pretty is this candleholder. 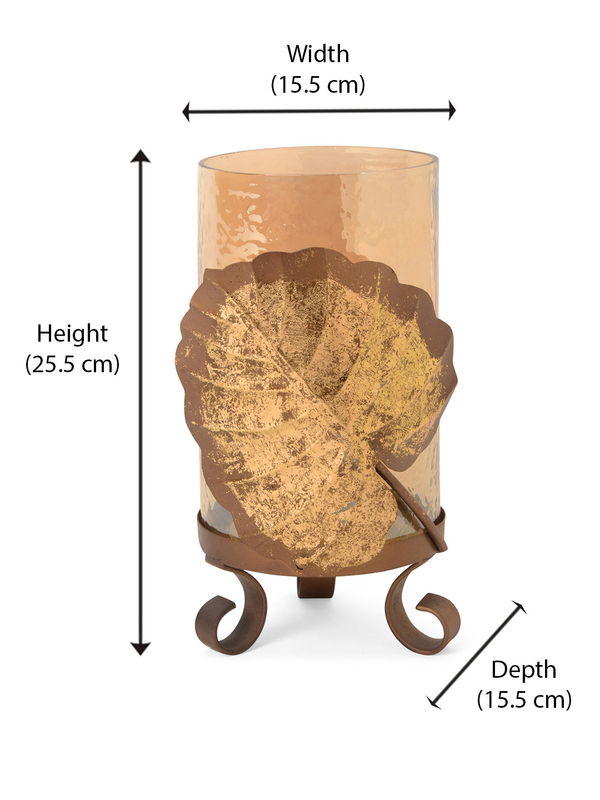 Crafted from metal, a stylized stand is accentuated with a big leaf enveloping a glass covering for the candle. With a gold finish, it adds a touch of glamour to your home décor. There are few gifts that can impress like this candleholder. Get it for your friends or family. Place it on the center table or in the middle of the dinning table. It enhances your home ambiance instantly.